Ever since I got this faux fur throw for Christmas I'm really enjoying capturing bits and pieces of my home and decor. The throw adds a cozy feel to any of my photos, which is exactly how I want to feel when its blistering cold outside. Here are a few shots around my home/window seat featuring my faux fur throw. Today was a gloomy day, so bright fresh flowers was something I really needed. I was organizing my room this morning, and thought my folded knits looked so cozy together. 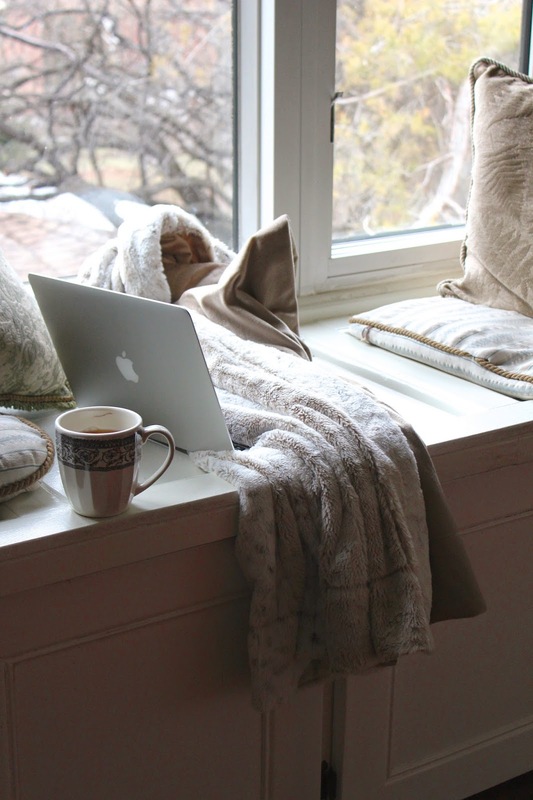 Bundled in my throw on my window seat, while working on the blog.